You probably already know that shopping online can save you time, energy, and money all while you enjoy coffee in your pajamas. But, it can be nerve-wracking to purchase items like custom furniture online since you don’t get to see it in person. 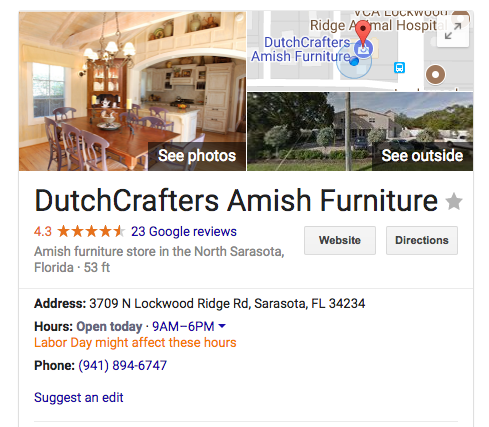 How do you make sure you are purchasing quality furniture from a site you can trust? We’re addressing the research you should do and questions you should ask before adding those custom furniture pieces to your cart and clicking on the checkout button. Q: How can I trust an online furniture company? A: Read reviews from various sites and look at photos posted by customers. Reviews on sites like Google and Yelp, and customer testimonials, which can usually be found on the company’s website, can help you decide if the company can be trusted. Our customer testimonial videos like Chris G.’s below, show how our furniture has enhanced the homes of people who have purchased from us. Check for pictures of furniture previous customers have purchased and set up in their homes. This will help to give you an idea of the quality of the items. We’re thrilled to hear from customers who send in photos of the furniture they purchased, and feature them on our satisfied customers page. Check the company’s rating with the Better Business Bureau (we’ve got an A+). Read the company’s “About” page. This page should provide information about the company’s history and mission, along with contact information. A reputable site will always supply ways to contact them offline. 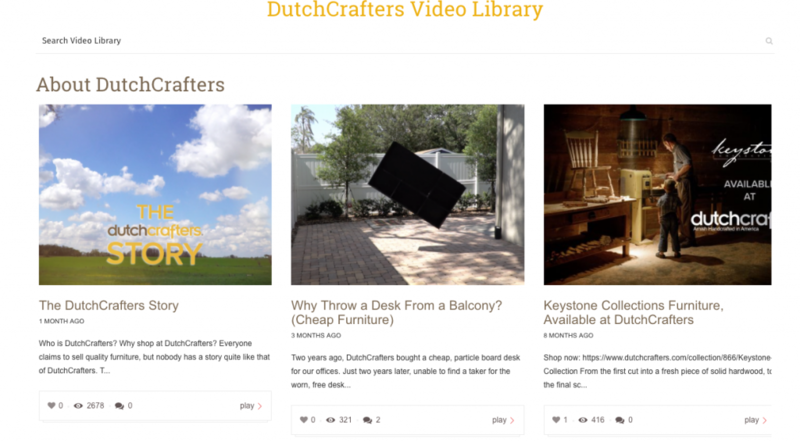 Our About Us page features the The DutchCrafter’s Story video below, and includes our history and mission. See if they have a store. Providing a physical representation of what you’ll find online is a plus for any online business. A store location allows you to put hands on the product if it is close enough for you to visit. If you prefer shopping from home, this is still a vote of confidence knowing the online company has a brick-and-mortar location. With many custom options, our store in Sarasota, Florida offers a sampling of what’s possible with our American made furniture. Q: How can I find the different furniture styles I want? A: Search for companies that offer a wide variety of styles and designs so you’ll have plenty to pick from. 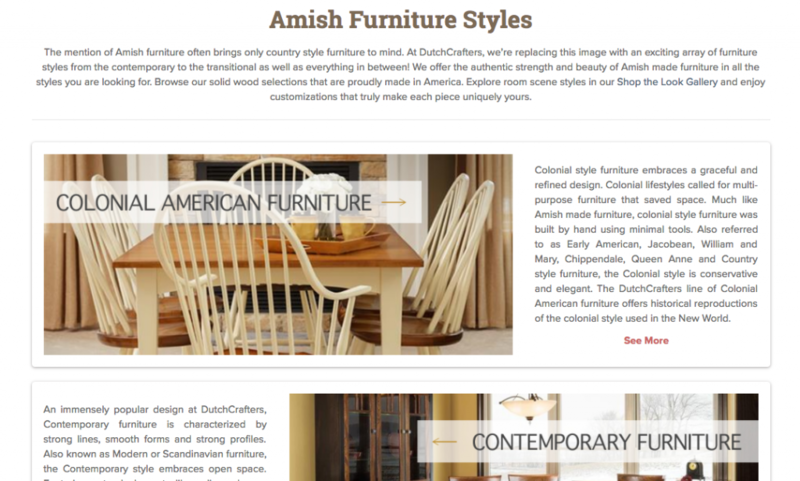 Search using keywords like mid-century modern, contemporary, Shaker, or Mission style furniture to find online retailers that carry the style or styles you love. Search for online stores that grab your attention and fit your style and bookmark the site. Or pin some of the pieces that catch your eye. Furniture sites should offer a good selection with a full range of options. Buying custom furniture involves choosing wood type, stain, finish, and trim options. It is best to purchase furniture for an entire room from the same website to ensure pieces match and to prevent differing shades or paint colors. Peruse the pictures on the website to get an idea of what the furniture might look like in your home. It’s a bonus if the site uploads photos that customers have sent in of their furniture set up in their home. Our Furniture Styles page shows some of the most popular furniture styles, and clicking on the image will take you right to your favorite. Q: How can I be sure I’m getting quality furniture? A: Read the product descriptions. Materials the piece is made from. Information about construction and durability. Videos can make a world of difference by giving you a chance to see the furniture you’re thinking about purchasing in action. You can find a variety product videos that explain features and customizations in our video library. Q: How can I find out when a furniture website I like is having a sale? A: Check for a sale section on the site and sign up to receive emails. 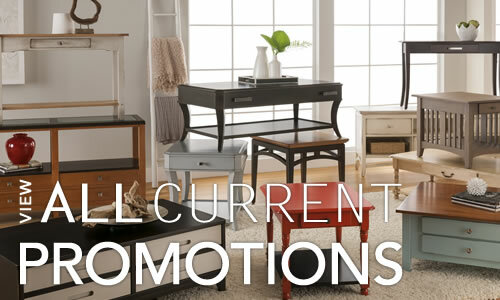 Our promotions, coupons and special deals section shows all current promotions in one place. We also offer 5% off your first order just signing up to receive our emails. Q: How can I get an idea of what the wood type and fabric I’m considering look like? 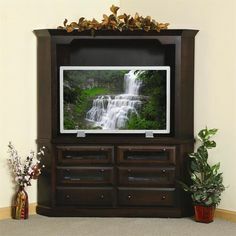 While photos are very helpful, reputable furniture websites will be able to send you samples of the wood type, stain, finish, and fabrics you are considering. 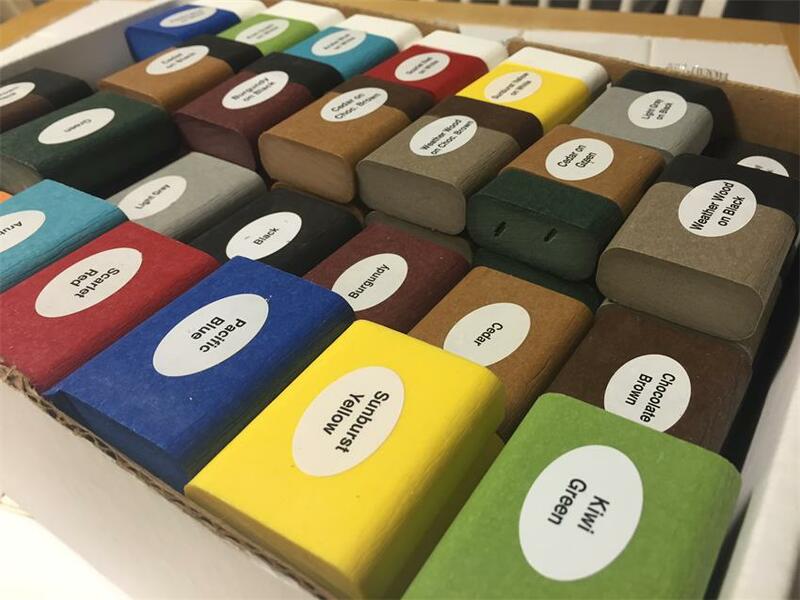 We offer sample kits for woods, indoor and outdoor fabrics, poly, and stains and paints. We also offer stain matching services to make sure your new furniture will match your existing furniture. Q: What are the most serious online furniture shopping mistakes? Not taking the time to measure. Be sure to get out that measuring tape before you buy. Use news paper or paper bags to cut out mock-ups of the furniture you are thinking about buying to test how they will fit in a room. Remember to include vertical dimensions. Check out our helpful Furniture Delivery Tips & Tricks video that explains how to measure your furniture to ensure it fits in your house and the room where it will live. Not knowing what’s required of you. Check product notes for assembly instructions so you are prepared should you need help. Not familiarizing yourself with general policies on payment and shipping. Some companies require full payment up front, while some offer financing options. The General Information and Terms & Conditions pages on our site go over our payment and cancellation policies, and also provide information about secure online purchasing. Some online sites only offer one shipping option, while others may offer multiple options. Our video The Unboxing: Furniture Delivery Essentials covers the shipping options we offer and what they include. Educate yourself to make billing and shipping seamless, and to make sure the options a company offers work for you. Now you’re equipped with what to look for, ask, and take note of when buying furniture online. Remember, it should be fun, convenient, and offer options you don’t often find in stores. Happy shopping!